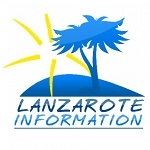 Our Lanzarote Information restaurants reviews. We take photos and write all about Lanzarote’s restaurants, giving impartial advise about them, telling you what they serve, what the service is like and an idea of the likely cost. We visited Nakai in Playa Honda, which is right on the ocean front and offers an interesting Asian fusion style of cooking. We enjoyed a Sunday brunch at DER in Puerto del Carmen and reviewed it for you. Excellent food, service a bit slow, but a cracking ambience. We visited Habana 6, a Cuban restaurant in Costa Teguise, for lunch. We were impressed with the service, food and the wine. Casa Pedro in Playa Blanca is right on the sea front. The fresh fish was fabulous and very well cooked, but the service wasn’t as it should be. Villa Juanita is a stylish and homely 4 bedroom, 4 bathroom villa in the quiet and exclusive Los Mojones area of Old Town Puerto del Carmen.